Peripheral Artery Disease (PAD) is also recognized as Peripheral vascular disease (PVD). It develops when blockage (completely or partially) take place in the peripheral arteries due to the build up of plaque (fatty deposits). Build up of plaque is known as arteriosclerosis. The arteries become narrow due to plaque so the supply of blood to the muscles in the limbs reduced. 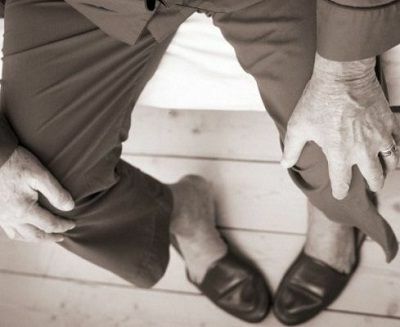 Unusual anatomy of ligaments, injury to the legs and blood clotting disorders are some of the other causes of Peripheral Artery Disease (PAD). Pain in one or both legs is the most common symptom of PAD. The pain in leg usually occurs during physical activity or exercise and stops when you rest. The arteries are clogged so they can't supply sufficient amount of blood to the legs. So the muscles do not get enough oxygen and other vital nutrients. People with PAD can experience pain in any part of the leg (from the calf to the thigh/buttock). People with PAD can also experience changes in the nails of toes and the skin on the legs. People may also notice that they are losing hair on the feet & legs or hairs are growing back slowly after shaving. This occurs due to lack of blood flow or nourishment. Many people suffering from PAD get cramps in the forefoot, heel or toes at night as the blood vessels in the legs are completely blocked. The pain can often be relieved by hanging the legs down the bed or sitting in a chair. This will let the blood to flow into the distal part of the legs. Foot and toes also become discolored as a result of compromised blood flow. Leg may be white in color when raised and turns to reddish or purplish color when dangled from the table. Some people experience pale or bluish feet or toes while sitting. Men having PAD may experience erectile dysfunction. Men who are having diabetes are at higher risk of developing this symptom. For erections, internal iliac arteries give the blood supply and when these arteries become clogged, it causes erectile dysfunction. People with PAD may feel their foot /leg cold even in moderate weather conditions because of blockage or reduced blood flow. If you have one cold foot but not the other, then you must talk to your doctor. Ulcers or sores may cause on the legs/feet that become easily infected or don't heal well. Ulcers or sores occur only in the people suffering from more advanced PAD. Ulcers are brown or black in color and are very painful. They must be treated as soon as possible. If PAD is not treated, then it can cause tissue death and even gangrene in some cases. This can be limb and life-threatening. In some cases, amputation is also caused by PAD. You can improve circulation in the leg by eating healthy diet, quitting smoking, consuming medicines and having bypass or angioplasty. PAD may lead to weakness in the muscles of thighs, hips and legs which may get worse over time. This occurs as your muscles are not getting sufficient blood and oxygen which they need to carry the body weight. People with PAD also notice a sense of heaviness /tightness /a burning sensation in the muscles when they exercise. Another symptom of PAD is atrophy (reduced size & strength) of the calf muscle. This symptom is experienced by people suffering from more advanced PAD. The number and size of muscle fibers decrease due to insufficient blood flow, on the microscopic level. People with more advanced PAD lose over half of their muscle fibers in an affected area and the left over muscle fibers tend to shrink in size. Many people don’t have any signs and symptoms of PAD. So it is essential that people suffering from heart disease, diabetes or high blood pressure should discuss PAD risk with health care providers.